It's feeling quite Autumnal now, cooler days, darker evenings, the leaves turning red and gold. A good time to be a knitter I think. I feel like I'm actually making progress on my WIP's which makes me want to work on them all the more. I turned the heel on my sock yesterday. 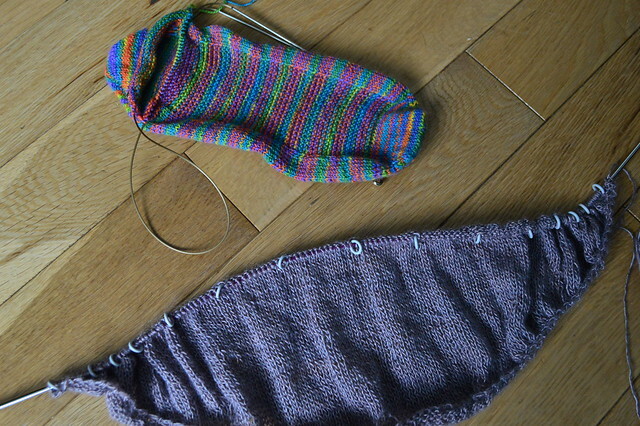 I used the Fish Lips Kiss pattern again as it fits my foot well and is nice and straightfoward to knit. The sock is now back in it's project bag ready for days when I want something to knit but haven't got a lot of concentration. 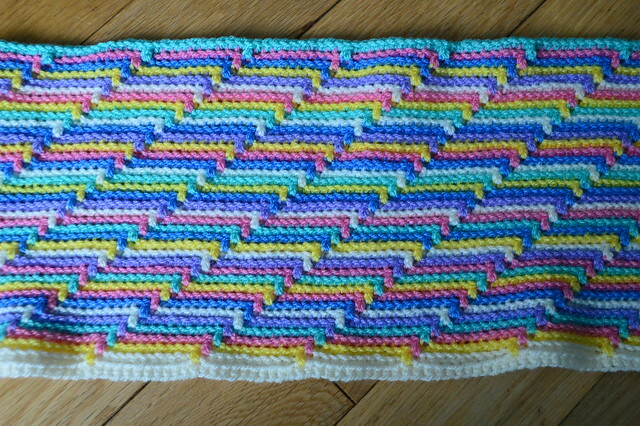 I love the colors in your projects. Just looking at them put a smile on my face. They are so bright and happy. I have to try the Fish Lips Kiss heel. I hear it is a good one. You are making progress! Keep it going.